Our executive office chair is acceptable for everybody class with real adaptable power, quality material supreme weight capacity and beautiful office chair design. 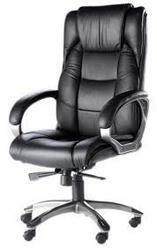 The executive office chairs are the latest choice for principal and chief executive officers. we make it simple for purchase to buy office chairs and available different types of colors and sizes.